WebLinks Research is proud to announce the release of the beta version of our Chrome Browser extension for WebLinks and LinksPlus subscribers. The LinksPlus-WebLinks Chrome extension allows all our subscribers to search our database when using Google search within the Chrome browser on desktop. 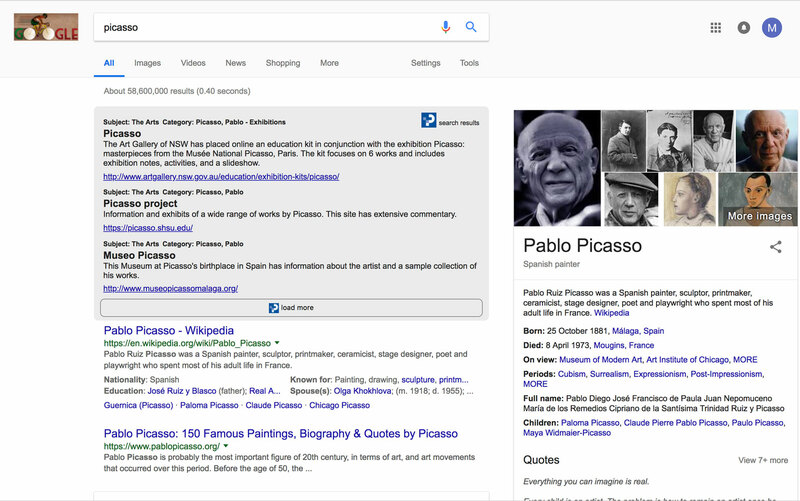 Our search results appear above the main results provided by Google. It is available free of charge to all our WebLinks Online, LinksPlus Online, MARC and LinksPlus-WebLinks API users. 1. Open this link in the Google Chrome browser (or cut and paste this link: https://chrome.google.com/webstore/detail/linksplus-weblinks/pmbaaoilpfnjihfmaagljhjmmefimpfd ). 3. Once installed you will see a grey LinksPlus logo icon to the right of the Chrome browser search bar. Click the icon and select "Options"
4. On the Options screen enter your unique Plugin Key (available on your admin account page) and click "save"
5. Your LinksPlus-WebLinks Chrome Extension is now set up, whenever you make a search using Google, a subset of our results will also appear at the top of the page. To load more results, click the "load more" button. 6. The Extension can be removed at any time by again clicking the LinksPlus icon and selecting "Remove from Chrome". We would love to hear from you with any feedback you may have!